Piazza Seafood Presents: Mano’s Po Boys, Metairie, La. A melding pot of flavors has been brewing in the Kleamenakis’ family kitchen since 1975. Now in 2018, taking over from their father, Chef Manny Kleamenakis and his brother are looking to continue the tradition of bringing home cooked meals they loved as kids to Mano’s Po Boys. Every Saturday when Kleamenakis was a teen, he can remember coming in to Mano’s, then owned by his grandfather Emmanuel “Mano”, to help out. It was there that his love for cooking developed. Back then, the New Orleans Saints practice field was just across the way and the spot was known to host some of the biggest players in the game. As he got older he would try out new things in the kitchen and when the time came, Kleamenakis pursued a culinary degree at Delgado Community College in New Orleans. With a locally inspired, fresh take on the cuisine, Kleamenakis now runs the kitchen at Mano’s. “[Now] a majority [of our food] is homemade,” he boasts. Proud of the roast beef he makes in-house, an even bigger favorite of his on the menu is the shrimp remoulade and fried green tomato po-boy. Kleamenakis takes fried shrimp and pairs it with his made from scratch remoulade. The fried green tomatoes as opposed to a traditional ‘dressed’ shrimp po-boy adds a subtle tartness like a pickle would, that balances out the peppery remoulade and the sweet succulence of the shrimp. 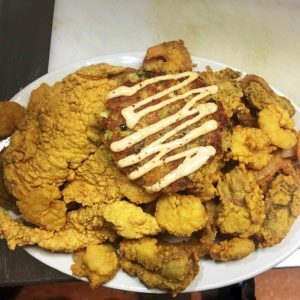 This po boy along with his fried seafood platter are just a few of the many seafood dishes on the menu at Mano’s. Kleamenakis and his family have been ordering their seafood from Piazza Seafood for over a decade. 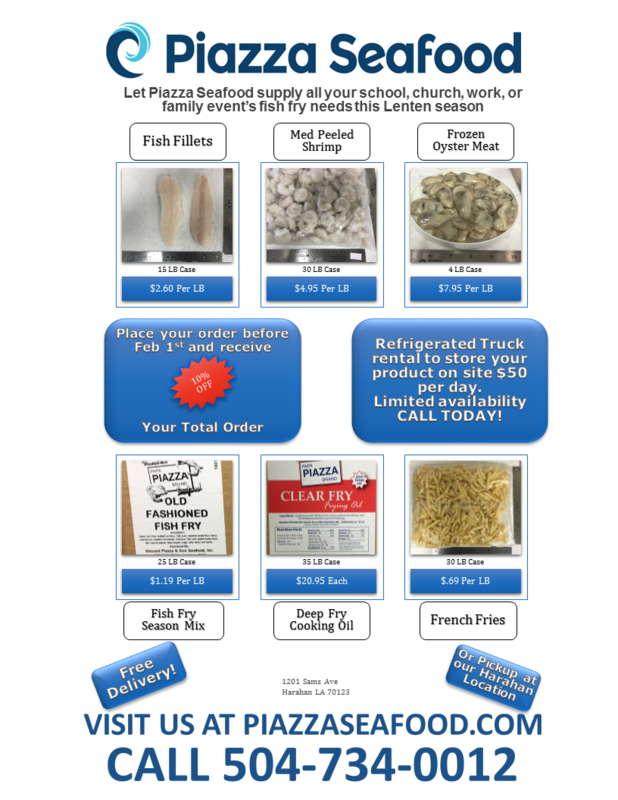 “Prices are consistent,” said Kleamenakis when asked what sets Piazza Seafood apart from other seafood wholesalers. Many chefs don’t necessarily enjoy cooking at home. Imagine working your 9-5 and then coming home to do the same tasks. But, Kleamenakis gets out of the kitchen at Mano’s and goes right into his home kitchen to perfect more recipes. Kleamenakis inspires us that even the everyday home cook can make extraordinary with the right products. 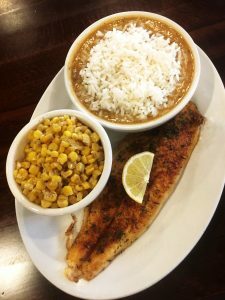 Visit us at PiazzaSeafood.com to find out more and head on over to Mano’s Po Boys for a new age meal with a home cooked feel. Big thanks to Manny Kleamenakis, for sharing his thoughts with us. I love this place. My work is close by and this is the place I order lunch from. The food is delicious and the portions are huge. The salads are my favorite. Also the seafood stuffed bell pepper is to die for.